Has Kinect already sold 1.3 million units? According to industry estimates, Microsoft’s Kinect is selling at a very high clip, posting six figure sales numbers in the Americas, the UK, and greater Europe. Total sales, as estimated by VGChartz, have hit 1.3 million units. While Microsoft estimates that they will sell some 5 million units this year, it should be noted that the first 1.3 million units moved, assuming estimate accuracy, came in just 11 days of sales time in North America, and under a week in Europe. 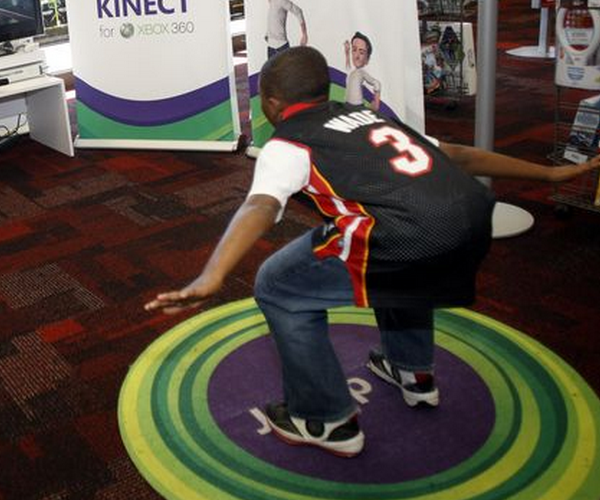 The Kinect is an innovative new controller for the popular Xbox console that tracks the body movements of the player for input, unlike the traditional handheld controllers in use for decades. The company also estimates that some 2.5 million Kinect games have been sold thus far, but that figure does count the game ‘Kinect Adventures,’ which comes with the Kinect device. Reducing the 2.5 million games sold estimate by 1.3 million, one Kinect Adventure title for each Kinect sold, and 1.2 million games have been individually sold, or just about one per sold Kinect. The Kinect seems to be a hit, have you purchased one?